668 pages | 60 Color Illus. | 3 B/W Illus. 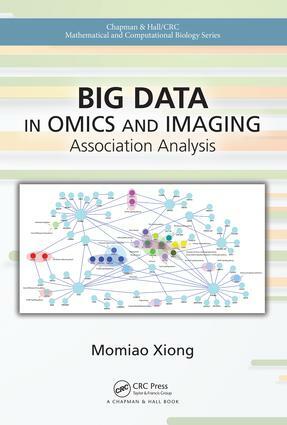 Big Data in Omics and Imaging: Association Analysis addresses the recent development of association analysis and machine learning for both population and family genomic data in sequencing era. It is unique in that it presents both hypothesis testing and a data mining approach to holistically dissecting the genetic structure of complex traits and to designing efficient strategies for precision medicine. The general frameworks for association analysis and machine learning, developed in the text, can be applied to genomic, epigenomic and imaging data. The book is designed for graduate students and researchers in genomics, bioinformatics, and data science. It represents the paradigm shift of genetic studies of complex diseases– from shallow to deep genomic analysis, from low-dimensional to high dimensional, multivariate to functional data analysis with next-generation sequencing (NGS) data, and from homogeneous populations to heterogeneous population and pedigree data analysis. Topics covered are: advanced matrix theory, convex optimization algorithms, generalized low rank models, functional data analysis techniques, deep learning principle and machine learning methods for modern association, interaction, pathway and network analysis of rare and common variants, biomarker identification, disease risk and drug response prediction. Momiao Xiong, is a professor in the Department of Biostatistics, University of Texas School of Public Health, and a regular member in the Genetics & Epigenetics (G&E) Graduate Program at The University of Texas MD Anderson Cancer Center, UTHealth Graduate School of Biomedical Science.